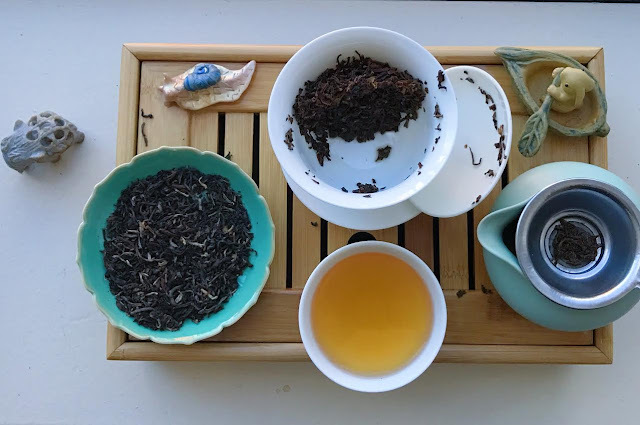 I have a real soft spot for Darjeeling black teas, specifically 2nd flush or later. Now before you all start telling me that 1st flush Darjeelings are beautiful teas, I know! I love them. My feelings for 2nd flush are so strong because it's the first tea that me realize there was more to tea than those dusty yellow-labeled bags. This happened when I was in my early 20s, in a fancy-ish restaurant. I asked for tea and was presented with one of those large wooden boxes of tea bags. Unsure of what to select, I fished out a Darjeeling tea. I remember being taken with the aroma, which was sweet and not at all like the musty bags I was used to. The flavor was of course vastly different from the dusty stuff as well. After this day, I became curious about tea, and started my journey. 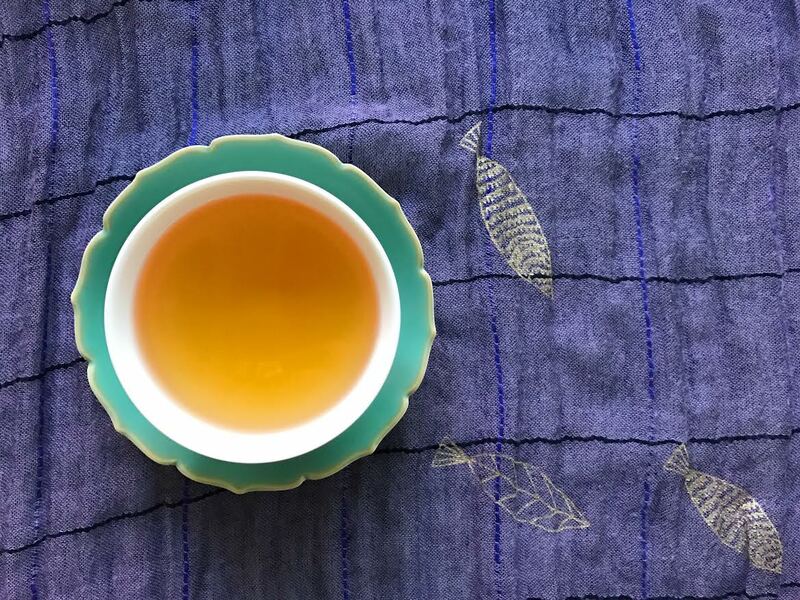 Ever since then, sips of Darjeeling give me an extra wave of comfort. It's like my liquid security blanket. It was my first favorite tea, after all. That's why when Tea Dealers sent me three teas to review, I selected the Thurbo 2nd Flush to try first. This is a 2016 2nd flush, from the Thurbo estate. The dry leaves are small and twisted, with lots of fuzzy buds. Colors range from silvery, to green, to dark and coppery. Thave a floral aroma mixed with honey and soft muscatel grapes. It's quite inviting. A familiar and welcome aroma. 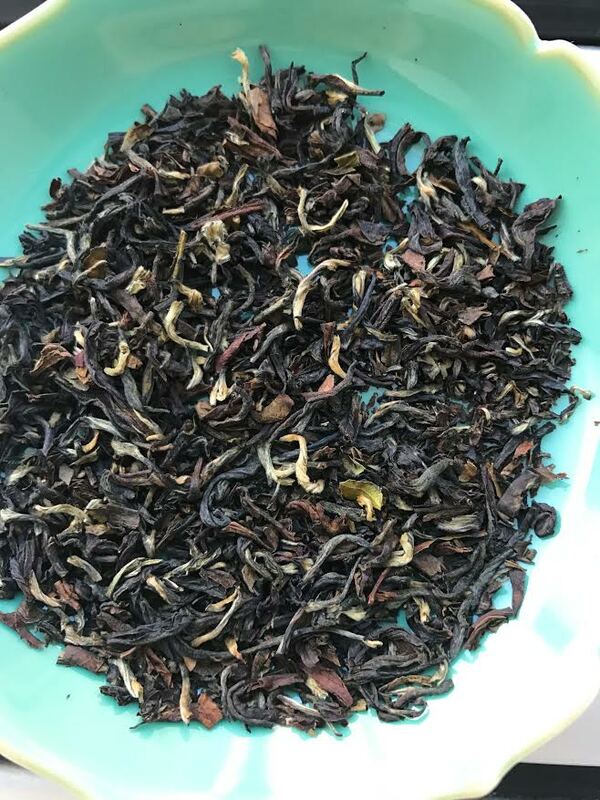 I decided to steep this in a gaiwan, because, why not? I wanted to extract a good amount of flavor. The liquor has that light grapey thing going on, with a nice hint of spice and wood. It's ever so slightly astringent, and I find the tea quite enjoyable. I'm thinking this would make a lovely sweet simple syrup with the strong honey and grape notes...I can picture it drizzled on pancakes, stirred into sparkling water, or even in a cocktail...I'll get back to you on that. This may need a bit of brainstorming. This tea is such a pleasant sipping experience. Perfect for an afternoon with a few sweet or savory snacks. I'm imagining it served outside on a picnic blanket, with a plate of fresh grapes and a nutty cheese. Perhaps not the most expected springtime sip, but perfect nonetheless. Thank you to Tea Dealers for the sample!